Every year, in response to advancements in technology and new laws in different countries and regions, there are many changes and updates to the body of knowledge required of IT security professionals. Updated annually to keep up with the increasingly fast pace of change in the field, the Information Security Management Handbook is the single most comprehensive and up-to-date resource on information security and assurance. 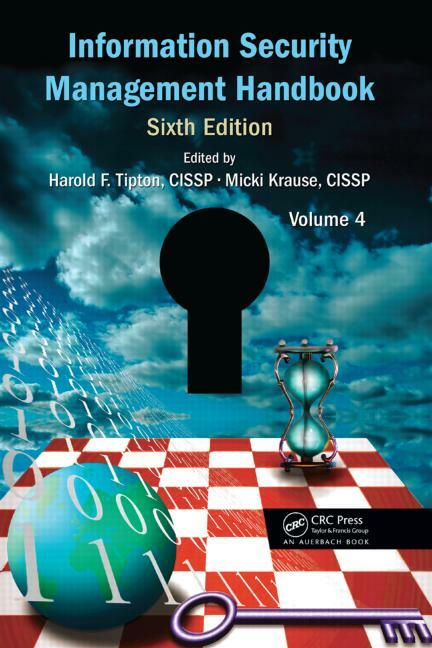 Providing an up-to-date compilation of the fundamental skills, techniques, tools, and understanding required of IT security professionals, the Information Security Management Handbook, Sixth Edition, Volume 4 reflects the latest changes to information security and the CISSP® Common Body of Knowledge (CBK®). This edition updates the benchmark Volume 1 with a wealth of new information on mobile device security, adaptive threat defense, Web 2.0, virtualization, data leakage, and governance. New material also addresses risk management, business continuity planning, disaster recovery planning, and cryptography. As the risks that threaten the security of our systems continue to evolve, it is imperative that those charged with protecting that information stay ahead of the curve. Also available in a fully searchable CD-ROM format, this comprehensive resource provides the up-to-date understanding required to keep you abreast of the latest developments, new vulnerabilities, and possible threats. As a compendium of knowledge from recognized experts on information security, this book contains a wealth of information for security practitioners. 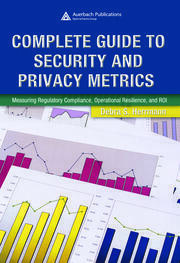 It is a compilation of several important topics that are relevant to information security. As practitioner references go, this book is one that an information security practitioner should take notice of, since it touches on a number of timely information security topics and blends the practices of security with business. 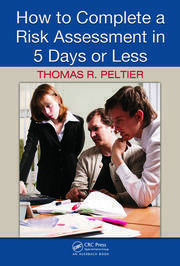 Though all of the topics are interesting, from the perspective of emerging trends and technologies, the most interesting chapters are ‘Managing Mobile Device Security,’ ‘Best Practices in Virtualization Security,’ ‘A Brief Summary of Warfare and Commercial Entities,’ and ‘Cyberstalking.’ These four chapters resonate most with information security practitioners because each of these topics takes the form of a trend that occurs increasingly in both the news and in trade journals. I recommend this book, not only to information security practitioners but also to managers, executives, attorneys, risk managers, and technology operators. The book covers a significant number of important topics that are both timely and relevant to the contemporary practices one finds in daily life when performing a security duty within the discipline of information security.